Anatomically contoured fit provides constant compression with minimum pressure to the back of the knee (cross-cut posterior feature) Fits right or left knee. Recommended for the management of knee/patellar pain and discomfort. 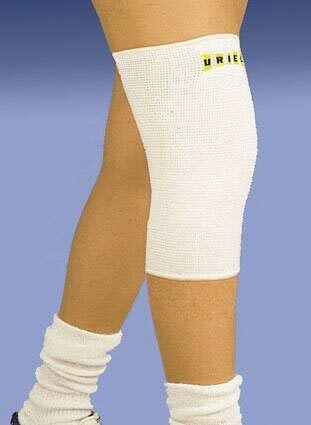 Provides relief to tired and aching knees. Indicated for the treatment of Osteoarthritis, Chondromalacia, Patella, anterior knee pain, knee instability, Osgood-Schlatter, and Jumper's Knee.